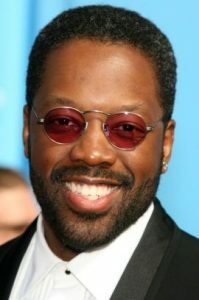 Kadeem Hardison is an American actor. He is best known for his portrayal of Dwayne Wayne on the NBC Bill Cosby spin-off A Different World (1987–93). Since 2015, he stars as Greg Cooper on the Disney Channel series K.C. Undercover. Hardison has also appeared in such films as Who’s Your Daddy?, Showtime, Biker Boyz, Bratz, Made of Honor, Escapee, Android Cop and B.C. Butcher. Born on July 24, 1965 in New York City, New York, USA, to parents Bethann Hardison and Donald McFadden, he is an only child. He began his acting career at the age of 16, appearing on a 1981 ABC Afterschool Special. From 1997 to 2000, he was married to American singer Chanté Moore with whom he had one daughter named Sophia (b. 1996). *He was born on July 24, 1965 in New York City, New York, USA. *He started his acting career in 1981. *He went to Junior High School 104 in New York City with fellow actors Robert Downey Jr., Erica Gimpel and Jon Cryer. *Kadeem’s ex-wife, Chanté Moore, is a Grammy-nominated singer, songwriter, actress, television personality, and author.